Fujifilm has been consistently demonstrating their ability to bring superb cameras and lenses to the marketplace and leads the industry in ongoing support of existing models via long term updates to firmware. This commitment to folks who have already spent money is a very good reason to consider a Fujifilm product. Fujifilm recently released the X-H1 and courtesy of the fine people at Fujifilm Canada, I have received a complete kit for evaluation and review. I have the luxury of checking out lots of gear, but am always excited to receive a new Fujifilm product for review, because the offerings consistently show a commitment to creative usability. All opinions expressed are my own, and any reader is free to do their own assessment and disagree completely. The X-H1 is built on the same sensor as the proven X-T2 with more attention given to video than in other Fujifilm products. It houses a 24 megapixel X-Trans III sensor. It can shoot both DCI and UHD 4K at up to 200MB/s and FullHD at up to 120fps. The body has 5 axis in body image stabilization. The mechanical shutter will run up to 1/8000 of a second and the electronic shutter extends this up to 1/32000 of a second. The body is made of magnesium and feels like a professional grade product. It has a 3.69M dot EVF that is bright and flicker free. The native ISO range is from 200 to 12800 with a pull to 100 and a push to 51200. Unboxing should not be a big deal. But it is. Fujifilm takes the process seriously with well thought out packaging that is easy to open without ripping and tearing. Components are packed logically avoiding any "where is it" panic because while most users never crack their manuals, first you have to open the box to get at things before reading the manual. More on the manual later. The first thing that you notice is that the body feels very solid in your hands. It's not an overly large or bulky product, but even with my mitts, it still fits my hands very well with my fingers and thumbs falling pretty naturally into place on the controls that I would use the most. The right hand grip is bumpy enough to hang onto without it being so big as to be annoying to folks with smaller hands. I admit to being an older photographer, and the simple top deck is a great pleasure to me with a physical shutter speed dial to the right of the viewfinder and a physical ISO dial to left. You can certainly makes settings electronically, but I much prefer tangible dials than button presses and wheels. One move instead of two, just makes so much more sense. Metering choices are a ring around the base of the shutter speed dial and drive modes are a ring around the base of the ISO dial. The first thing that you will likely notice on the top deck is the large reverse LCD display, that you can read in almost any kind of light before activating the built in illuminator. It immediately evoked for me, memories of the Leica SL or a PhaseOne body. Bright, clean and uncluttered. The right panel covers two UHS-II SDXC memory card slots. The left panel cover provides access to HDMI out, USB3, mic in and remote in ports. There is a small switch on the front to quickly switch focus modes and a PC sync port on the left side, with the lens release and programmable depth of field preview on the right. The rear LCD is nice and large and can be tilted for either portrait or landscape work. It does not flip around for selfies or vlogging. The mechanism seems very sturdy indeed. There is a rear control wheel that also has a front counterpart. There is a four way rocker, with menu/ok at the centre, a focus point selector as well as the expected trash, playback, AE-L, AF-L, quick menu and display/back button. It's not cluttered with a bunch of programmable unlabeled micro buttons. Thank you Fujifilm! The on/off switch is positive and the shutter release is nearly flush with the on/off ring. Beside the on/off switch is a button to activate exposure compensation. I also received the aptly named Vertical Battery Grip in the kit, and attached it right away. It adds a second AE-L, AF-L and shutter release for vertical shooting and holds two batteries. Unlike many battery pack options, you get to leave the camera battery in place, giving you access to three batteries for a shooting sequence. Yay! I appreciate that some folks do not care for battery grips, but I would rather have one than not. 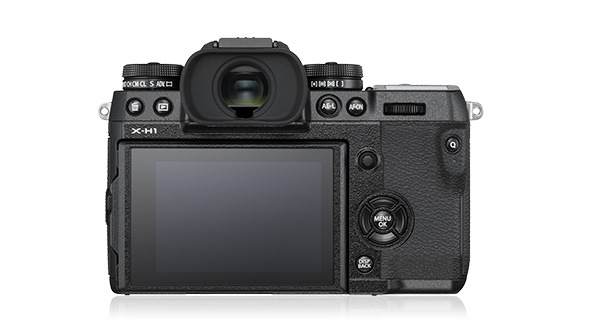 Even with the grip attached, the X-H1 is still smaller than a similarly equipped DSLR. Fujifilm sent along a couple of lenses, the 50-140/2.8 and the 16-55/2.8 as well as their EFX-500 flash unit. I always carry a flash with me, and don't believe that any eval is really complete without including the manufacturer's flash as part of the process. You can certainly get third party flashes that work directly with the Fujifilm TTL protocols but I always like to see what the OEM is doing. I want to get to the JPEG question quickly and move on. Fujifilm's JPEGs are among the best in the world. However, I do not shoot in JPEG and have no use for JPEG, so to spend a lot of time on the subject would be foolish as I am not a BS artist. 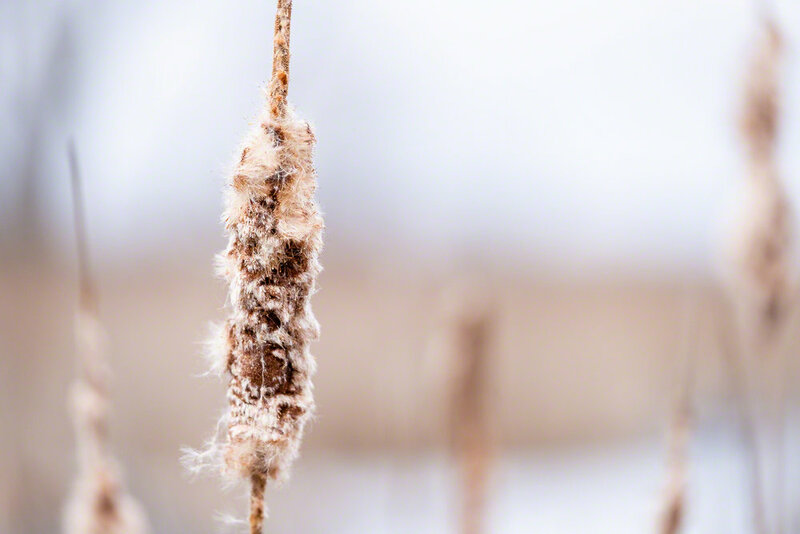 If you shoot JPEG, you will like the JPEGs coming out of the X-H1. And that's all I have on the subject. The X-H1 is subtly larger than the X-T2 and this is more evident when the vertical battery grip is attached. A minor quibble is that even when fully tightened to the body, the VBH does not feel completely solidly mounted. I really noticed this when I attached a Black Rapid strap and hung the camera slung for a few hours of shooting. I could feel the VBG moving against my hand while the body stayed snug. Coming off other bodies, the shutter release is really hair trigger. It was common for everyone who handled the camera to be surprised at how easily it would fire, usually without intent. After a bit of practice it became very easy to manage. Shutter release throw is very short and there is no real obvious "glass break" release. It's different and will take getting used to. I mentioned earlier my appreciation that there are two card slots in the X-H1. For anyone shooting once in a lifetime events, such as weddings, dual card slots are a must. Unlike other makers who use different slot types, or different slot performance levels, Fujifilm gets things right by including two UHS-II capable SD slots. As much as I dislike the fragility of the SD card format, I understand the Fujifilm decision. I would still prefer XQD for higher performance, particularly for the 200Mb/s video option but it is what it is. The X-H1 uses the common stud and D-ring system for strap attachment. I realize that this looks all retro but those studs get in the way of my hand and require me to reposition my shutter release finger to a more awkward position. I don't like these strap mounts. A slot, such as found on the bottom of the vertical battery grip may not be hipster trendy, but would be much more usable. Some other reviews have taken issue with the top deck having real dials. To each his or her own. For me, I love the direct input on the controls, including the real aperture ring. I appreciate that for those whose entire photographic experience is buttons and wheels, this may be incongruous. I am older and prefer tactile inputs. 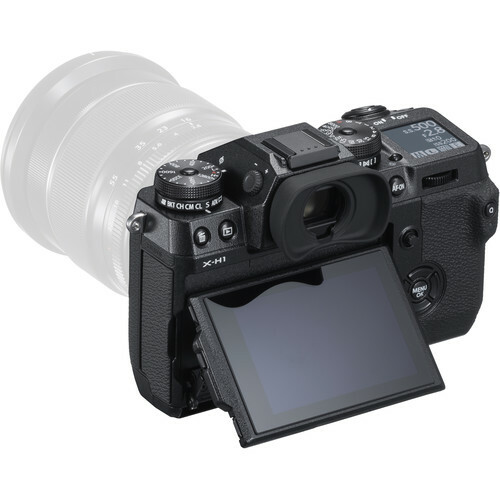 Unlike some other Fujifilm products that have a massive and well positioned exposure compensation dial, the X-H1 goes for the tiny button and wheel option. It took a lot of training to be able to find that button without looking, particularly with the battery grip and then moving the rear control wheel meant that I was off the shutter. I was surprised and delighted to find a configuration option to convert the exposure compensation button from momentary to switched configuration where a press turns it on and another press turns it off. Once I turned it on, my use of the exposure compensation was quicker and also more accurate. As I use exposure compensation constantly, this was a big gold star replacing what was going to be a gripe. I found the new placement of the AF-L button on the body to be more underneath my thumb. As I tend to shoot back button focus all the time, I was happy to find this, but would prefer a tactile surface to remind me when I am on the AF-L button vs the AE-L button. Raising the buttons above the body surface would be an improvements as well. I cannot say I was nearly as happy with the position or non-feel of the AF-L button on the vertical battery grip. I was constantly taking my high from the viewfinder to remind myself where the button was and being nearly flush mount it desperately needs a tactile surface treatment. It's also not as well placed as the button on the body. As with most all mirrorless cameras, battery demand is significant. I had a battery in the camera, and two in the grip. After a couple of hours in the field and about 100 images, the first battery was down to about 50%. It was zero Centigrade on this shoot. If I did not have the battery grip, I would counsel to carry a couple of spares with you. I was shooting stills in this test with only two very short movies made in the time of less than 60 seconds each. I'm going to step in it big time here. I've had to edit this section. When I first wrote it, I was working on the basis of the RAW files that I had imported to Lightroom and my conclusion was that the X-H1 was a full stop noisier than that X-T2 at ISO 800. If I use Lightroom as my reference, it still is. However, I also recall that the initial Lightroom RAW conversion for the X-Pro2 was quite horrible, whereas the conversion for the X-T2 was decent. Once I got the files into Capture One Pro 11 (see the section on Iridient X-Transformer below), I had to change my conclusions. I think that with a proper RAW converter, that the X-H1 has similar noise performance to the X-T2, which one should expect since they ostensibly have the same sensor. One of the celebrated functions of the X-H1 is the five axis stabilization. Shooting with the 50-140 I pushed this very hard. I treated the 140mm end like it was a 210mm on full frame and so set myself a "normal" handheld safe threshold of 1/300 of a second. One stop would be 1/150, two stops would be 1/75, three stops would be 1/30, well you can do the math yourself, and the camera is said to offer up to 5.5 EV of image stabilization. Perhaps it does, but not for me. Even at two stops down, I was getting visible microshake even when shooting properly and not flailing around like an improvisational dancer on meth. Based on my first set of results, I decided to use my normal limits on safe shutter speeds going forward and to pretend that there was no stabilization at all, and then to shoot with it off. The shutter release is really light and very smooth and I have checked myself to be sure that I'm not stabbing the release. In production, I always assume that stabilization is busted and do not depend upon it. Let's talk a bit about IBIS or In Body Image Stabilization. I placed a call to the awesome Jerry Julien at Fujifilm Canada because I was certain that I was screwing something up. As noted, I was not seeing any of the anticipated stabilization. Jerry graciously talked me through everything, and we found that I had not made a misconfiguration. I reset the camera (something I usually do when I get one - but failed to do this time) and then saw much more positive impact from IBIS. I still don't get the 5.5 EV of stabilization but was getting about 3 EV consistently. Perhaps I need to cut back on my coffee intake. I am less enthused about the performance of continuous autofocus, particularly when working with fast moving subjects. My reference cameras are Canon's 1Dx Mark II and Nikon's D5, and it is unfair to compare the X-H1 in tracking type autofocus to either. That said I had more out of focus shots of running dogs using AF-C shooting in continuous high than I would have expected. I shot both the 16-55/2.8 and 50-140/2.8 XF series lenses with the X-H1. I've used them both before and rank them very highly, definitely required glass if I were buying an X-H1, or any other Fujifilm product. I have a small nit with the excellent 50-140/2.8 and that is while I really like that it has a lens foot, I would ask Fujifilm in their next refresh or as an option for a foot that natively has an Arca Swiss dovetail cut into the foot. This would save adding a separate plate and keep things streamlined. Please folks, give this some consideration. I also had an opportunity to shoot the X-H1 using the superb Fujinon 80mm macro alone, and with extension tubes. The extension tubes are well built and maintain full lens control automation. They do reduce the macro standoff distance but also increase the amount of available magnification. Shooting off a tripod with a remote release, I was very pleased with the image quality. I even tried the 80mm with the 1.4x and 2x teleconverters that Fujifilm makes. The teleconverters only work with the 80mm macro, the 50-140 and the 100-400 and timing was not such that I had all of them together. I was very impressed by the image quality with the teleconverters and their incredibly small size and low weight. Buyers of either the 50-140 or 100-400 should definitely consider adding the teleconverters to their kit. 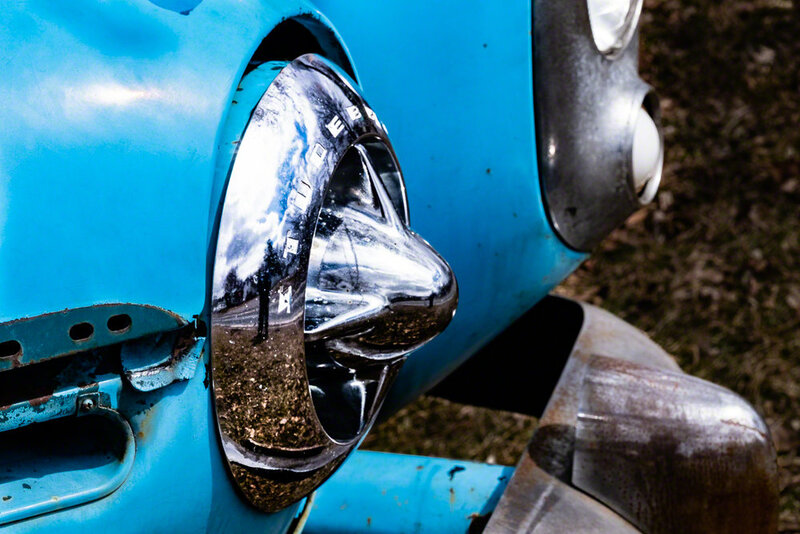 With the X-H1, autofocus and metering is preserved with both lenses, even with the 2x teleconverter. In order to tether the X-H1 to Lightroom you need a driver. I run Macs here at Chevalier Media Group and while there is one, Thinkpad P70, I do most of my evals using Macintosh. If you want to tether an X-H1 to Lightroom, you need to buy a tethering plugin from Adobe. If you want to tether to Capture One Pro, well it would work if C1 supported the X-H1 RAW files natively, but at time of review it does not so that ends that. (Since writing Capture One now supports the X-H1 natively) I fail to understand why Fujifilm would create a cost model to tether to Lightroom when it is free for all other vendor products. You can get X-Acquire which pulls files from the camera to a folder, and you can then set up the folder as a Watch Folder in Lightroom, so this is a workaround, and it works fine. You can of course connect cables and such, but I really wanted to test the usability of the wireless control via the Fujifilm app on the iPhone. Mine is an older 6S+ and the app bonded quickly and worked very effectively. I could do all the things that I expected to be able to do without hassle and without dropped connections. I would suggest doing the initial connection where you do not have multiple WiFi networks advertising at once to speed that initial connection success, but once you have established pairing, reconnecting at another time is very fast and efficient. I also used a generic cable release with the 3/32" plug in my closeup tests and it worked perfectly. I like simple releases because there are no batteries to die. The look of those first two clips, shot in 4K at 29.97fps in the 100Mb/s bandwidth configuration was superb. I was shooting handheld, with frankly too long a lens, so while the exposure, and dynamic range is wonderful, there is too much shake caused by me to make them worth keeping. I kept the video in the native colour space but will have more comments on F-log later on. I went back with a shorter lens, the brilliant 16-55/2.8, and with the camera on a Manfrotto video monopod, was much more successful than in my first foray. I think that the rendering is very good to the rear LCD, and I did not see much lag. All the same, and for me at least, the LCD is just too small for practical shooting. I also encountered inconsistency in the movie mode autofocus keeping up. It was good most of the time, if not a bit behind the curve, but sometimes, just wasn't there. Tapping the AF-ON button brought it up to date, but often introduced a bit of camera movement. There is the option for focus assist in the form of focus peaking. You can choose from white, red or blue, and with either thin or thick lines. Red thick worked best for me, but the overall small screen meant it did not help that much. I was very surprised to discover that a camera built with such attention to 4K video did not have any other video supporting tools like Zebras or scopes. I get not adding scopes, because of screen size, but Zebras are obvious missings. Fujifilm has an excellent reputation for adding enhancements as well as fixes to firmware updates, so perhaps they will find a way to add Zebras in future updates. In order to get video that I was vaguely happy with, my fault, not the camera's, I mounted a SmallHD Focus 5 display on top of the camera. The SmallHD Focus 5 is a brilliant display, with all the needed video tools and a very bright and very crisp screen. I would propose that if you are going to use the X-H1 for serious 4K video in log format, and I think you should if that's a use case, then you will be happier if you add an external display. For all my video after the first short clips, I dropped to 23.98 fps but maintained the bandwidth setting at 100MB/s because I did not have a 200MB/s capable UHS-II SD card. At that setting, the camera anticipated about 77 minutes of video on the 64GB card. I also loaded the Fujifilm LUTs on the SmallHD Focus and was very pleased with the rendition. If you record 4K to the internal cards, you can only push FullHD out the HDMI port. If you want to push 4K out the HDMI port, nothing gets recorded internally. While this struck me as odd at first, it has come to make sense to me and I understand the rationale. I did try pushing 4K out the HDMI to an Atomos Shogun and all worked as expected. The X-H1 uses a MicroHDMI connector, and while it is space efficient, I find them to be fragile in general and would strongly advocate using some kind of arrangement to prevent the HDMI cable from placing stress on the connector, I used a TetherTools Jerkstopper, as I do on all my cameras, and it did what I needed it to do. There is an external high impedance microphone port on the camera, but you have to add the vertical battery grip to get a headphone port to monitor audio. Not everyone with spend for the vertical battery grip although I think it's an important investment especially for video, and so the missing headphone jack on the body is a mistake. You are not likely to be impressed with the internal microphones, but the microphone input allows for use of a simple on camera microphone such as a RODE or Sennheiser product. If you need more channels, you are better off with an outboard mixer/recorder such as a Zoom or a SoundDevices. I tend to carry a flash with me all the time. I like having a little sun in my pocket and will often use the flash to kick in a small kiss of light to fill shadows or supplement the primary source. The user interface of the EFX-500 is very dated, reminiscent of an old Nikon speedlight. However, since I know how to use old Nikon speedlights, operating the EFX500 was a piece of cake. The LCD on the back is not very contrasty but was quite usable in bright sunlight and it was very easy to control the output level using TTL for fill flash in my testing. Colour temperature of the flash was good, if a bit warm and the TTL exposures were very good. The bounce head is of the locking type which is handy. The flash runs on 4AA sized batteries. I ran a set of black Eneloops for my shoot and while the demands were not high, recycling was decent enough. The flash itself is not a bastion of great power so using the head in the bounce position with the little popup deflector card drove the flash at full power with a subject at 3 feet distance and f/11 and the image was still underexposed. Auto fill was inconsistent and the flash performed best head on, and dialed down -1/3 to -2/3 for fill. I am a fan of using dome diffusers to spread the light from the tiny head of speedlights for less hot spotting. Contrary to popular, yet incorrect, opinion, dome diffusers do not soften the light, which requires making the source larger, they just spread the light out. The EFX-500 comes with a dome diffuser, but you must physically remove a plastic ring on the flash head to be able to mount the diffuser. This makes the ring an easily lost or broken object, and the diffuser then slides on to be nearly flush with the head. I do not understand the design, and candidly, find it pretty useless. There is nothing at all wrong with the EFX-500, but there is nothing really right with it either. In my opinion, you would do better spending your money on a third party Fujifilm TTL compliant flash system. The X-H1 is quite new as I write this, so while the version of Lightroom I was using could read the RAW files natively, Capture One 11 Pro could not. (It can now, with version 11.1) I did pull down the Silkypix RAW Converter to make TIFF files for use temporarily in Capture One Pro 11. I did not like the experience. I felt that the conversion lost some quality, and the resulting TIFF files were all 144.1MB per image resulting in a lot of storage being used up before culling. I found the converter very slow as well. To see about other options, I tried the Adobe DNG Converter. Since I knew that the X-H1 was already supported, this was an easy experiment. The DNG conversion was screaming fast, taking seconds per image where the SilkyPix RAW Converter took nearly a minute per. Unfortunately, Capture One Pro could not properly read the Adobe created DNG files. In fact, a lot of software that supports DNG could do nothing with the Adobe created DNG files. I had setup Fujifilm's X RAW Studio for a client some months back. 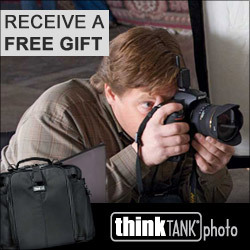 The idea is that you use the Camera's CPU to convert the RAW files to another format. We concluded at that time, that we could not fathom why anyone would ever want to go through this rigmarole. I still have the same perspective on it. Why would one shoot in RAW, and then have to tie the camera to the computer to do a RAW conversion? Fujifilm provides the SilkyPix RAW converter for standalone use. Is the RAW Studio going to do a better job than a much more powerful computer with way more memory and more GPU capability? I am sincerely sorry that I just do not get the point. Fortunately, Iridient Digital does an excellent product called X-Transformer which does a simple Fujifilm RAF conversion to DNG and the 1.02 build supports the X-H1. 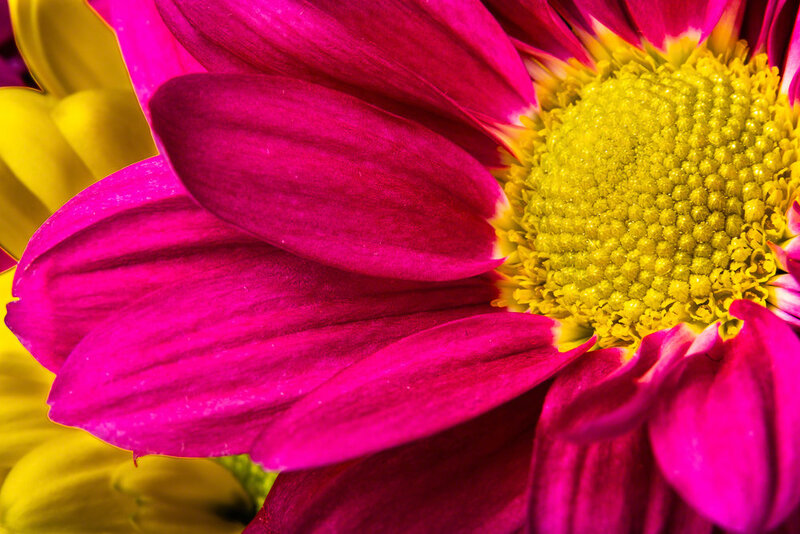 Conversion takes about 12 seconds per file, but the DNG files created open properly in anything that can read DNG, unlike the DNGs from the Adobe DNG Converter. What I specifically like about Iridient X-Transformer is that it allows you to do the conversion without any additional processing that would otherwise alter the originals. I like my RAWs to be really RAW and the DNGs I got were unsharpened and very flat, making them perfectly ready for post processing in Capture One Pro 11. I also checked Skylum Luminar which could open the X-H1 RAW files and ON1 Photo RAW 2018, which could not. I typically use Photo Mechanic to do my fast culling right up front. I was pleased to see that it allowed me to perform this part of my workflow as quickly as I expected because Photo Mechanic just goes straight to the embedded JPEG for culling purposes. I found the battery life to be okay. With the vertical grip attached the camera drains from the grip mounted batteries first, leaving the in camera battery to the last. The camera is always draining battery to keep the top deck LCD illuminated. I would prefer that this had an off option, but I did not find one. I do not need the LCD powered when the camera is in the bag. I may have made a mistake when testing the wireless control options because I managed to kill off a battery in a matter of days after testing the wireless, even with the camera off. I have found other cameras where you must explicitly turn off the wireless, otherwise that service keeps running even when the camera is off. I do not know for sure if this is the case with the X-H1. Despite many attempts I never got anywhere close to the CIPA rating in terms of the number of exposures on a full charge. I respect that Fujifilm wanted to provide mobility for owners who already had other batteries with other Fujifilm products but I would have much preferred if they has used the extra space in the body to house a larger and longer lasting battery. I also discovered that while the AC adapter included (hooray!) with the vertical battery grip would charge the batteries in the grip, it does not recharge the battery in the camera. I'm going to call that a miss. Regular readers know that I am a big fan of Fujinon lenses. 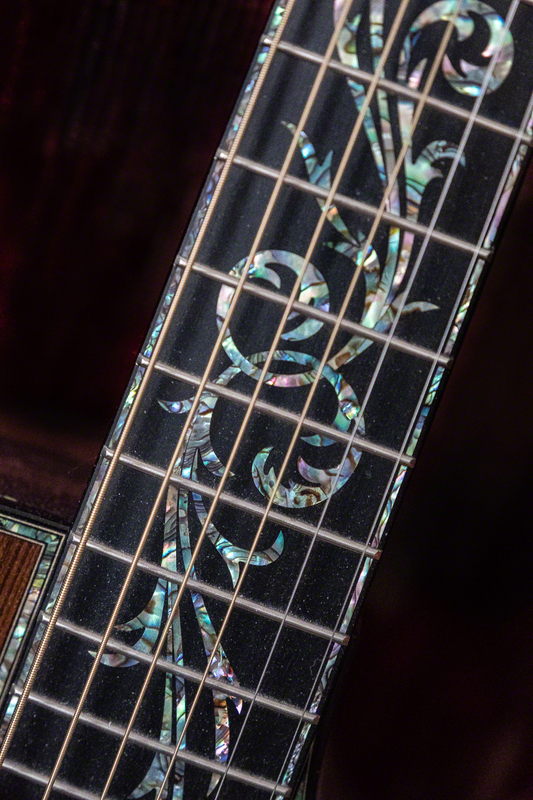 My experience shows me that they are among the best glass in the world when looking at their top line products. I used only the XF glass with the X-H1, as I expect those using a body of this calibre would not be using the less expensive XC lenses. There's always a lot of blather about APS-C versus full frame and how many megapixels are enough. This is all mostly marketing foo foo dust. Choose a look and tool suitable to your use cases and you will be in good shape. I am very pleased with the look of the images from X-H1 and have no issues recommending it. I have also put together some of the 4K clips into a single short video and made it available on Vimeo here. Everything was shot in 4K at 23.98fps and with the camera set to Fujifilm F-Log. I used my usual video editing platform, DaVinci Resolve Studio to put the clips together and start the sequence with uncorrected F-log. I then show a very fast manual correction followed by the application of Fujifilm supplied LUTs. The Fujifilm WR LUT is closest to Rec.2020 or the new HDR look. Because I shot in F-Log, I maximized dynamic range and the sequence ends with a more robust manual colour process that is designed to demonstrate both highlight control and shadow detail retention in the same clip. I am very impressed with the video capabilities of the X-H1. I loved the X-T2 and the X-Pro 2 before it. I like the X-H1 even more. It's a bit bigger and with the battery grip fits my hands perfectly. Shooting both the 16-55/2.8 and the 50-140/2.8 is a dream with the camera. The 4K video, particularly in F-Log is superb when you put your mind to the work. I love that there are three batteries with the grip installed. I would prefer more useful video tools including waveforms, but adding the SmallHD Focus 5 to this camera for serious video is no big deal. The EFX-500 flash works decently well, but not so well that I would recommend it for its cost of acquisition. You can get more power for less money, that still binds to Fujifilm's TTL flash system. 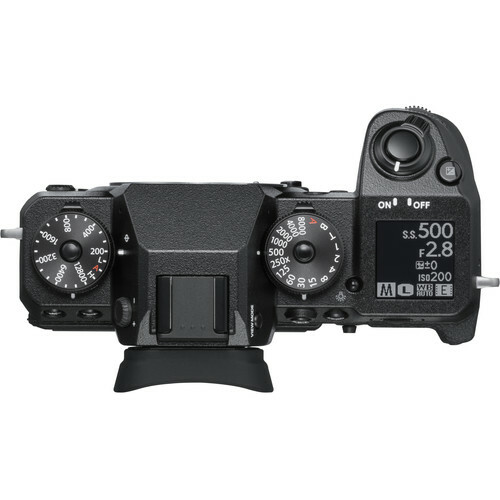 Since I am a Profoto user, I would just get an Air-TTL controller designed for Fujifilm and be done that way. I do wish that both card slots were identical and in my perfect world, I could get an X-H1 with dual XQD slots. If I'm going to shoot 4K to an internal card, I want every bit of bandwidth that I can get, and fast XQD cards are less expensive than the slower high speed SDXC cards. Plus, as I freely admit, I really dislike the entire SD card structure anyway, so others may not care about this at all. So would I buy one? The blunt answer is yes. I only have one APS-C camera right now, Canon's 7D Mark II and I've never been all that impressed with its performance. The X-H1 is just so much better and I know that I am being unfair because the 7D2 has been around for a while. While the Canon would readily use the drawers of Canon glass that I own, I just found the usability of the X-H1 so much higher. As my time with the camera wound down, I found myself shooting fast and smoothly and really enjoying the entire mirrorless experience and the utter silence of working with the camera. Now that I can work with the RAWs the way that they deserve to be worked with, it's just brilliant. And that's the challenge. 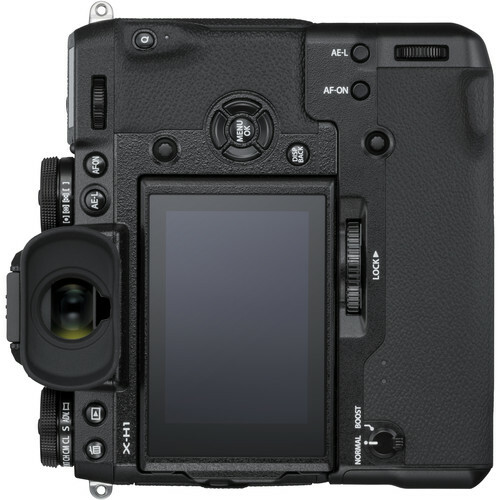 The X-H1 body is selling with the vertical battery grip for about $2800 CAD right now. Not unreasonable considering what it's capable of. But I would need glass and my first lens would be the 16-55/2.8 XF and that's $1550 CAD. Then as much as I like the 50-140, I would go for the 100-400/4.5-5.6 XF and there's another $2400 CAD. So unless the nice people at Fujifilm think that I should be a spokesperson and want to send me a get going kit, I am afraid it won't be happening soon. I'd also like to make a request for an ultrawide, something wider than the existing 10-24/4. However, for a photographer who wants to go mirrorless and not compromise on functionality or glass AND wants superb 4K video, I think the X-H1 is a brilliant option. I also have seen Fujifilm's commitment to product longevity with firmware and function updates that no other maker can come close to. Fujifilm is a winner for me. Movie recording[4K (4096 x 2160)] 24p / 23.98p 200Mbps / 100Mbps / 50Mbps up to approx. 15min.